There are many differences between a reverse mortgage and a traditional mortgage – and taxes are a big one. Here’s a run down of what to expect come tax time if you have a reverse mortgage. Because any funds you receive from a reverse mortgage are essentially an advance on your home equity – equity you already own and have paid for, the IRS does not consider money received from a reverse mortgage as income, they consider it an advance, therefore it is not taxed as income. This is the case regardless of how you receive the funds – whether monthly installments, a line of credit, or a lump sum, you will never pay income tax on this. What About Deductions on Interest? Here’s one situation where there is a stark difference between a traditional mortgage and a reverse mortgage. 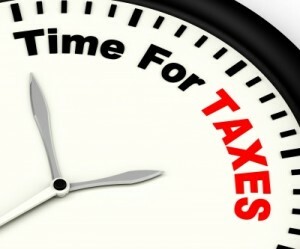 With a traditional mortgage interest and fees paid are tax deductible every year they are paid. This is still the case with a reverse mortgage, except in the scenario of a reverse mortgage the interest is not paid until the loan comes due, therefore it cannot be claimed as a deduction until this point. The loan comes due if the borrowers sells the home, passes away, or permanently leaves the home. With a traditional mortgage, property taxes are often taken care of by an escrow service. With a reverse mortgage the homeowner is 100% responsible for making sure these property taxes are kept up to date. If there are financial concerns about the ongoing cost of property taxes, discuss this with your reverse mortgage specialist. In the new financial assessment there are options to help set aside a portion of the funds to cover ongoing expenses such as property taxes and homeowner’s insurance. Jan Jordan is a Reverse Mortgage Specialist serving the Erie, Firestone, Fort Collins, Loveland, Greeley, Longmont, Boulder and other Front Range areas of Colorado, as well as the Cheyenne and Laramie communities of Wyoming. Contact Jan and learn if reverse mortgage is right for you. ← I Have A HELOC On My Home – Can I Get A Reverse Mortgage? Can You Sell A House With A Reverse Mortgage On It?